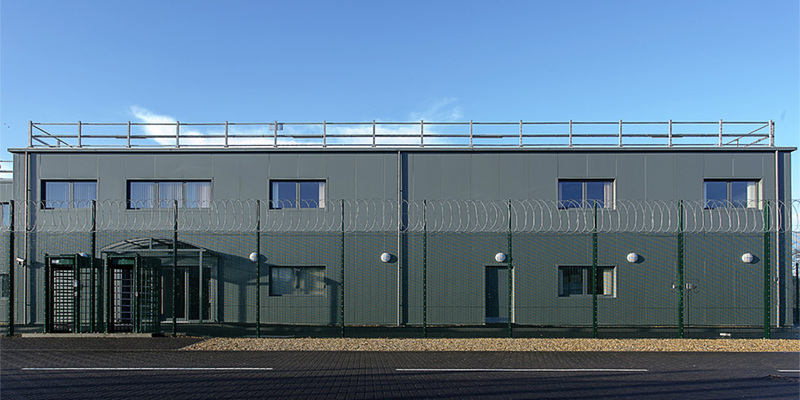 The Ark Spring Park Campus is an ultra-secure data centre campus with five data centre buildings designed to offer 30MW of IT load over nearly 200,000 sq ft of IT space. Ark remain largely focussed on large wholesale data centre solutions with retail colocation space available via Ark’s tenants (ask Colo-X for options). The high security aspect of the location is further enhanced by the presence of significant MoD (UK Ministry of Defence) presence in the area. As of summer of 2019, three buildings are in operation, SQ17, the original building which opened in 2011 and P1 and P2, each of which is 31,000 sq ft net technical space or 4.5MW of IT load. Planning has been approved for two further data centre buildings, P3, of similar capacity to P1 and P2 and P4, offering twice the total amount. The modular design concept offers 6 data rooms in building P1-P3, each hall providing 760kW or 182 cabinets at 4.2kW each. The earlier SQ17 building offers 24 data halls at .5MW each or 12MW in total. The design PUE is 1.2 meaning 200kW of cooling power is needed for each 1MW of IT load.